We know these assertions from some sects (like the "creationists"). But in geology or palaeontology, too, we use a concept of relativity: Considering that the history of the Earth is about 4.5 billion years old, we tend to say that 50 million years, for example, are a "short" period of time. If we project a "short" period of time like this into the future, we are not talking about next week, so there is no need to pack our bags now. No, we are talking about scientific apocalypse scenarios here. Dr Joachim Scholz, laureate of the Alexander von Humboldt memorial prize of the German Senckenberg Nature Research Society, wrote to me in November 2014 about cyanobacteria and commented about multicellular organisms merely as an aside: "Within the life cycle of a planet, metazoa form just a short episode between the first and the second microbial mat age. 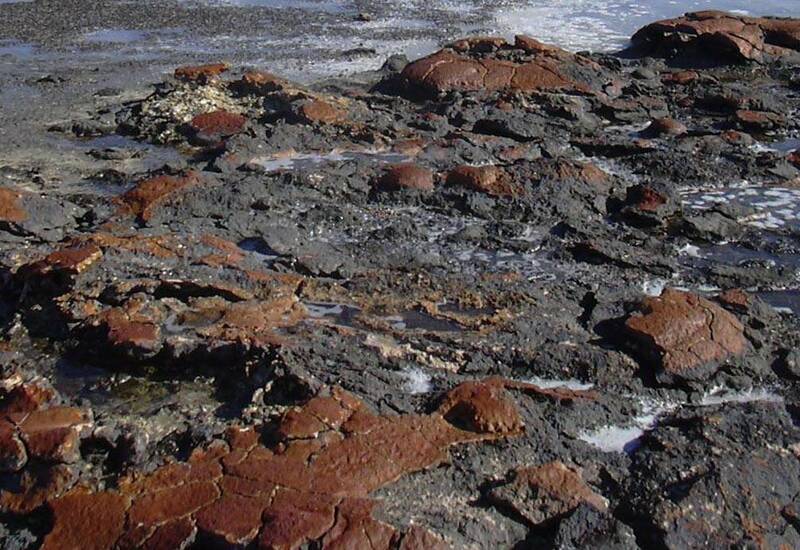 Translated to the Earth, this amounts to 3 billion years, then 800 million years for the metazoa (it is already drawing to a close) and maybe another 2 billion years for a second microbial mat age (the latter is called 'Swansong Biosphere')." Swansong? The expression goes back to an ancient Greek myth, according to which swans sing a last sad, but beautiful song before they die. So what does it mean that the era of multicellular organisms (which is in fact our era) "is already drawing to a close"? Do we have to pack our bags now? Joachim Scholz responds: "We can argue about the time. Today we assume that this biosphere, which looks to be dominated by metazoa and plants, has another 150 to 400 million years to go, at best. In geological terms, this is nothing. The reason being, that the atmosphere will no longer be able to considerably increase its cooling effect. After that, there will be a great era of microbes again - a fairly long swansong." On 19 December 2012, astronomy professor Dietrich Lemke from Heidelberg gave an interview with the Germany radio station "Deutschlandradio Kultur" about "the end of the world from an astronomical perspective". He marked the demise of our planet at about 7 billion years. In each second, the sun burns about 560 million tons of hydrogen, forming helium, according to Lemke. We could calculate that the core fuel therefore lasted about 7 billion years. But already within 6 billion years, the sun would have doubled its diameter, thus emitting a correspondingly higher amount of radiation, light and heat towards the planets - while the temperature on the sun's surface amounted to approximately 6,000 degrees. "We have to pay attention to a moment shortly before", said Lemke. Because already within 1 billion years, the sun's luminosity would have increased by as much as 10 per cent, leading to a temperature increase on Earth by 30 degrees - "a value that the people today were unlikely to survive". Unfortunately, the assumed apocalypse date (1 billion years) will prob-ably have to be rescheduled in our direction... The "Swansong Biosphere" is part of the Rare Earth hypothesis, which claims that the formation of complex multicellular life on Earth (including intelligent beings) results from an improbable combination of special astrophysical and geological circumstances and events. Complex extraterrestrial life is therefore a highly unlikely and at best extremely seldom phenomenon. "You could almost think that the universe really wanted us", was a comment by Prof Harald Lesch, a German astrophysicist and natural philosopher in the TV broadcast "Terra X - Faszination Universum" (28 September 2014, channel: ZDF). In 2000, the professors Peter D. Ward and Donald E. Brownlee, both at the University of Washington, proclaimed their theses in their book "Rare Earth: Why Complex Life Is Uncommon in the Universe". This scientific duo is a good example of interdisciplinary cooperation: Ward is a palaeontologist and teaches biology as well as earth and space sciences. His colleague Brownlee teaches astronomy at the same university and is a principal investigator at NASA with the special field of astrobiology. The term "cosmopalaeontology" could be used to underline the importance of cosmology/astronomy for the development of our planet and of life. Here, they live exactly this vision. In its way, the approach to search for animated extraterrestrial worlds has been as wrong as the approach to search for Precambrian multicellular life forms. "There cannot be fossils before Ediacara, because no such fossils have been found in the respective strata, and this is why all these finds must be of inorganic material, i.e. pseudo-fossils." By now, this pessimistic circular argument has been refuted, but it resembles the optimistic false conclusion of those who support the hypothesis that "We are not alone" in the universe. Their stance has been that the seemingly unlim-ited universe contained billions of terrestrial planets and thus planets with (possibly intelligent) life - and so they began searching for them. If there was complex, intelligent life on Earth, they reasoned, something similar must exist also elsewhere in the vast expanses of space. No, say Ward and Brownlee, we can forget about that. Let's assume there really were a projected 11 billion planets - as reported in November 2013 by the Kepler mission - that orbited sun-like stars and some of them even in "habitable zones", it is still highly unlikely that the special situation of our solar system can be encountered in much the same way somewhere else. "Earth-like planets found" was the headline of the newspapers on 6 January 2015. The German newspaper "Süddeutsche Zeitung", for example, reported that, using the Kepler space telescope, US astronomers found two planets ("Kepler-438b" and "Kepler- 442b"), which "showed the Kepler space telescope, which "showed the most similar characteristics compared to Earth that have ever been found". "With a likelihood of 70 percent", no. 438b was a rocky planet and was moving - likewise "with a likelihood of 70 percent" - in the habitable zone of its sun - albeit a "red dwarf" with low luminosity. No. 442b, too, was orbiting a "red dwarf". It is 1,100 light years away from us - that is more than 10 quadrillion kilometres, which actually prevents closer investigation for the near future... These spatial distances are even harder to grasp than the temporal distances in the history of the Earth, which keep presenting us with ever new mysteries. And here the hypothesis of the Swansong Biosphere comes into play. It surmises different developments, leaves the anthropocentric view behind and regards the search for unicellular life in the early or late stages of exoplanets as more realistic than to hope for worlds that matched our own, even if only to a small extent. Hence, is was not "pessimistic", but "reasonable to assume that microbial life will be the most abundant form of life (if it is found) in habitable extra-terrestrial environments", said the Scottish astrobiologist Jack T. O'Malley-James and his co-authors in their first swansong paper in 2012. In "Swansong biospheres II" (late 2013) they underlined this thesis. When searching for extraterrestrial life, we have only one example of a bio-sphere - our own. In most cases, today's focus is to find planets that resemble modern Earth. However, the history of life stretches over billions of years with completely different kinds of biospheres. Other planets did not come into being at the same time as the Earth, some are younger, some are older. We should not only compare the "young Earth" with the current situation, but also imagine the terrestrial biosphere of the future. In about 1 billion years, claim the authors, there will be so little carbon dioxide left in the atmosphere that plants will not be capable of maintain-ing the process of photosynthesis any more, which is essential for them to survive. Next come the animals, which depend on the plants. The first organisms affected will be the large mammals and the birds, then the small mammals, the fishes, the amphibians and reptiles, eventually there will be only the invertebrates left - but approximately 100 million years after the great perishing of the plants, this will be over as well. The final inhabitants of the Earth will be yet again the microbes, just as they had been during primeval times on Earth. In 1.85 billion years, the entire surface of the Earth will be uninhabitable for any kind of life form due to the ever-increasing heat radiated by the inflating sun. And finally, in 2.8 billion years, not even the hyperthermophilic archaea (especially resilient unicellular organisms) will be able to survive in their underground reservoirs, even if they were located several kilometres underneath the ground... There are different time determinations resulting from different earth system models - such as the "Gaia hypothesis" that states that the geosphere and the biosphere interact with each other, forming a self-regulating "superorganism", as it were. With all theories, however, the question will always remain whether there is not a whole range of unknown variables inherent to all projections of the future. Will volcanism continue to take place, even if the interior of the Earth continues to cool down? How will plate tectonics evolve - with ever less water in the oceans? Will future generations of organisms be capable of adapting to the different environment, thus existing longer than assumed? There have been numerous examples both in the past and in the present. The apocalypse has a father and a mother: the decreasing carbon diox-ide level in the Earth's atmosphere and the dying sun with its deadly radiation and heat (image p. 111: Wikimedia Commons). What this means explained Dr Joachim Scholz in a note of 28 January 2015: "We must not only pay attention to temperature. We are in a CO2 crisis - but in a slightly different way than described in everyday political discussions. In the short run, there is too much CO2, but what does that mean? In geo-physiological periods of time, we have far too little CO2 to fuel a photo-autotrophic metabolism that generates oxygen." In 1982, the British scientists James E. Lovelock and Mike Whitfield were the first to calculate the lifetime our current biosphere. They knew that the carbon dioxide levels in the Earth's atmosphere would have to decrease in order to counteract the sun's increasing luminosity. The lowest limit for photosynthesis was "nearly" reached according to their climate model - they granted the plant life merely 100 million years and, connected with that, the animal life hardly any longer. All the while, there are different types of plants: C3 plants and C4 plants, as they are called. C4 plants can endure longer than C3 plants, because they are capable of enriching CO2 in their tissue, thus enabling them to survive longer in case of shortness of water, high levels of light irradiation and extreme temperatures. Using these plants (e.g. maize, millet and sugar cane), the US researchers Ken Caldeira and James F Kasting started from a different climate model in 1992. Assuming different conditions than Lovelock and Whitfield, they calculated at least a total of 900 million years. A group of German scientists at the Potsdam Institute for Climate Impact Research started their own investigations in this subject in 2000 and published the results in 2004. Prof Siegfried Franck, Dr Werner von Bloh and Christine Bounama approached the subject in a different way and considered especially geodynamic processes and their effects on weathering, tectonics, volcanism and CO2 production, among others, as well as a more detailed analysis of the global carbon cycle and the carbon reservoirs. All things considered, their calculations predicted the end of the entire biota on the Earth's surface between 800 and 900 million years. In their premise, the end of photosynthesis is not expected before 1.6 billion years, but they calculated a considerably higher surface temperature, making heat strike earlier than the lack of CO2. The researchers from Potsdam grant the eukaryotes 1.3 billion years, the prokaryotes about 300 million years more. What about Earth itself? "In the course of its transformation into a red giant, the sun will grow to such an extent that its radius will reach the value of the current terrestrial orbit in about 7.8 billion years." There is probably no verified "truth". The explanation the astrophysicist Professor Arnold Benz gave in his book "Die Zukunft des Universums" ("The future of the Universe", 3rd edition 2010) is the following: "Natural sciences grasp reality by making measurements and observations. Observations alone, however, cannot explain reality alone, as the facts often allow for several explanations." At any rate: The dating - whichever you may prefer - is almost exact. After all, a couple of hundreds of million years hardly matter in the context of the history of the Earth. Dr Joachim Scholz at the Senckenberg Research Institute is unperturbed about the time of microbes ahead before the definite end of the world. He said, Earth "does not need humans, animals or plants. Bacteria, archaea and viruses as "predators" are perfectly sufficient to keep the planetary metabolism going for a little longer". Maybe we will not even get that far. Maybe the Earth will be destroyed before that. One day, a comet might reach us with more precision than that of 1989. "Three days before Easter in the year of 1989, the world almost ended. Nobody noticed. On Maundy Thursday, the unsuspecting Germans complained about growing petrol prices... On that 23 March, nobody saw the mountain-sized chunk of rock that raced towards the Earth in a nosedive. Only a few tens of thousands of kilometres beyond the moon's orbit, so to speak in the Earth's front garden, the 800-meter-long lumpy colossus barely missed. Had this celestial body with its speed of 70,000 km/h been just a couple of hours later, it would have collided with the terrestrial globe... 'It would have eradicated everything', said Don Yeomans, an American expert on comets." (From the German magazine "Der Spiegel" 28/1994). Or maybe we will manage to destroy it all by ourselves. Walter Hähnel, a merited preparator from Hamburg, who is the namesake for a medal of honour of the Association of German Preparators, finds radical words in his booklet "Erdgeschichten" ("Earth stories", 2014): "Man's behaviour towards nature is reckless... There is no prospect that this behaviour will change... You get the impression that man is an aberration of evolution... Regrettably, they will finally eradicate themselves." At any rate, we are not even needed, see above. At best, we are useful to take the time between two biomat eras to write some papers on the presumable past and the possible future of life on Earth. After all, this is really something, microbes cannot. This is a chapter of the book “The New Precambrian” (Troppenz 2017). - In deutscher Sprache kann man dieses Kapitel in “Wohin die Spuren führen”, Band 2 (Troppenz 2015), nachlesen. Beide Ausgaben sind erhältlich bei www.palaeontologie-troppenz.de , die englische auch bei www.ebay.com oder bei www.booklooker.de.